I found only one of this kind. See how it is hiding its first pair of legs behind the head. This is the first I have seen of a black DF. Nice capture! What a nice find. 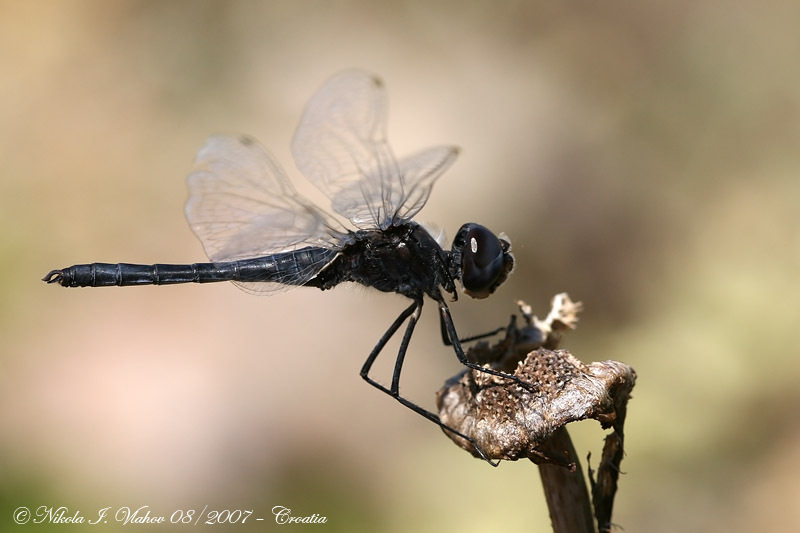 It's a Selysiothemis nigra (male), called Black Pennant. It's mainly found in the Middel East and central Asia, but also seen in coastal areas of northern Africa and Europe. It looks much like the common Sympetrum danae (seen in most of the northern hemisphere), but the bright wing markings with dark borders show that it is not. S. danae has dark wing markings (pterostigma). He probably had to scratch behind his eyes . I agree Nikola, beautiful pictures. 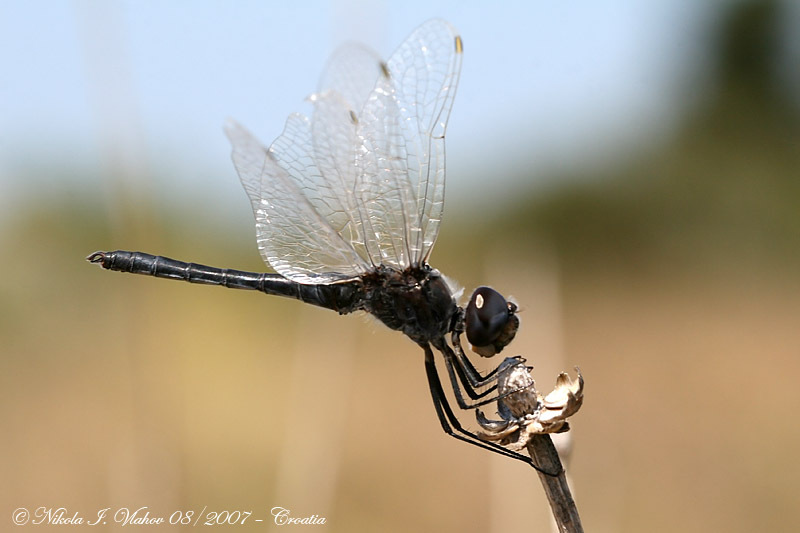 thats gotta be the coolest dragnfly ever. wish we had those around here all we got is solid red ones. He escaped me first day. I didn't have any chance to make decent photo. But I was lucky to find him next day and made a bunch of photos. I'm sure it was the same guy because of little damage on one wing. Erland, I didn't have any doubt you will recognize this guy. No, it's nowhere to be seen here up north, and I've hardly spent time doing dragonflies in Southern Europe. I believe the distribution is very scattered in your area, at least that is what litterature tell. Hey, I found it again! But on another isle this time.